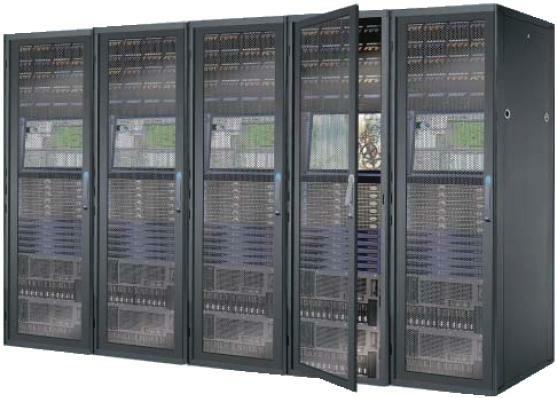 Cabinet level access security has become critically important for all data centers and server rooms. More and more IT managers have recognized this need and are upgrading their cabinets with smartcard access control. To meet the increasing needs, Synergy Global Technology Inc, offers the Intelligent Door Locks at affordable prices. Three LED color modes on the Intelligent Door Locks indicate the lock status clearly. An authorized unlock is signaled by a silver white flashing LED. Unauthorized cabinet access will result in a red flashing LED following with an audible alarm while the handles are equipped with door sensors. DL-1002 offers an administrator card option to provide dual card authentication cabinet access. Unless the administrator card detects in advance, the Intelligent handle cannot be unlocked by the user card. The dual card authentication access makes sure that any authoriation door opening is fully under the data center’s monitoring. 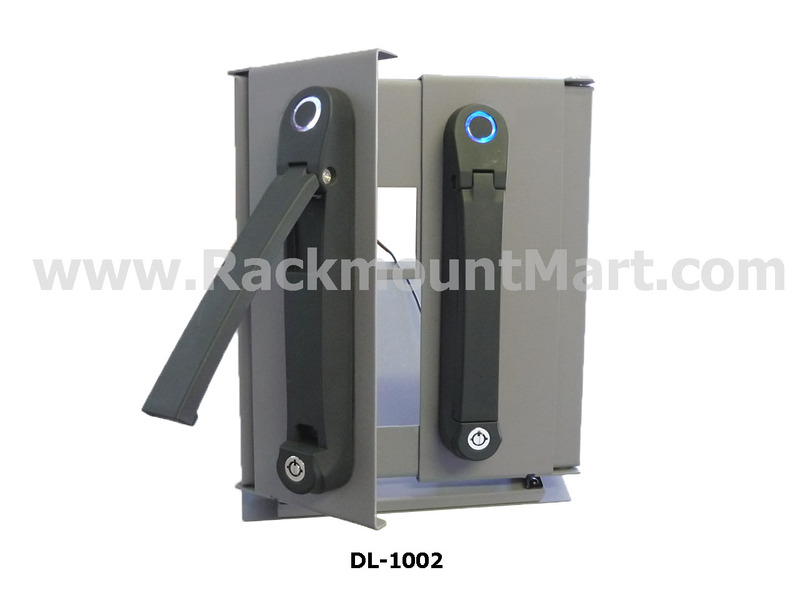 DL-1002 is designed for the global IT branded cabinets. Its Universal Mounting Cut-out generally allows easy integration with most third party cabinets so costly & complicated door customization is not required. The patented Intelligent handle is an intelligent design with universal mounting cut-out. Recently, most global branded cabinets have applied a standard handle cut out dimension on the door. 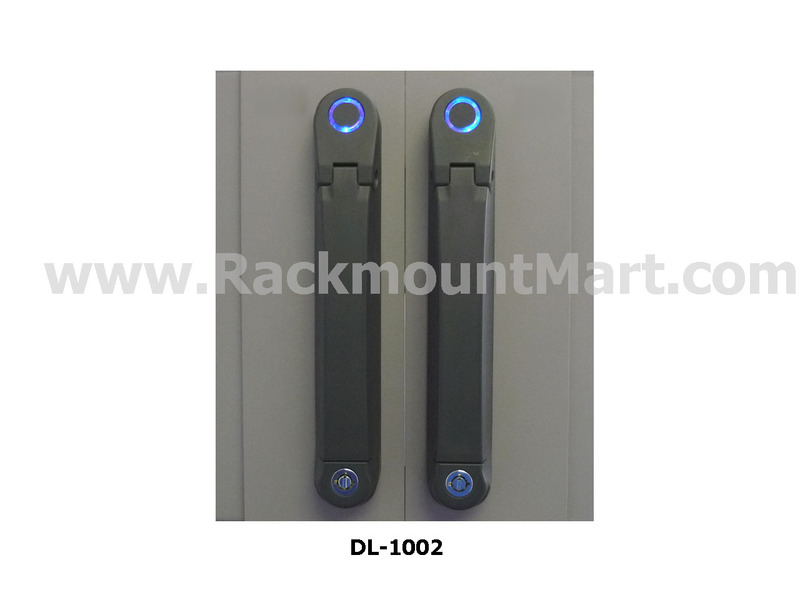 To achieve the highest level of interoperability offered in the cabinet industry, the DL-1002 handle also applies the same mounting dimension. 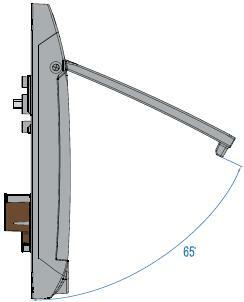 It avoids costly and complicated door customization for the smartcard handle integration. 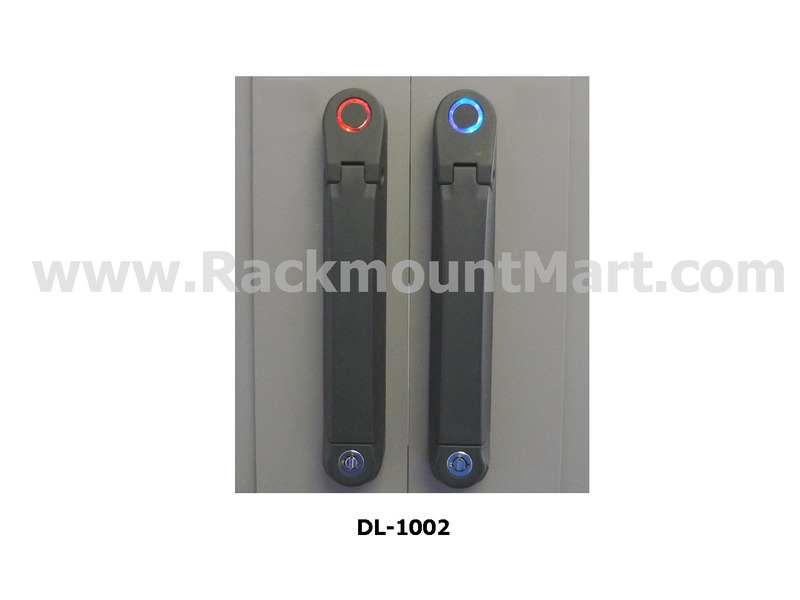 The LED color on DL-1002 standalone Intelligent door lock handle provides the clear indication on the lock status. User can view the handle lock status just by LED handle colors. 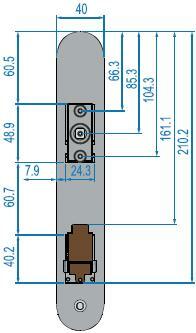 Optional door sensor is an essential item for alarm functions. User can be alerted by visual and audio alarm for unauthorized door opening. 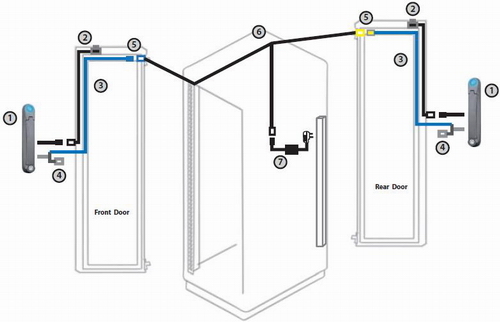 DL-1002 installation is simple and quick - it just involves the smartcard handles, door sensors and easy cabling. DL-1002 provides two user-friendly software free. UTILITIES is ideal for the initial setup and simple operation. To look for relatively high requirements like the reporting feature and password security, MANAGER will be the one you should apply for.